Stem Cells for Plastic Surgery – Are Stem Cell Grafts Safe & Effective? Stem Cells Facelifts, Stem Cell Breast Augmentation, Stem Cells in Plastic Surgery - Marketing Hype or Next Big Thing? Stem Cells seem to be everywhere today: Stem Cell Breast Augmentation, Stem Cell Facelifts, Stem Cell Facial Creams, but what is it really worth? Does the marketing hype live up to the objective evidence? Are Stem Cells the panacea? First a little background. Last year, the American Society of Plastic Surgery (ASPS) and the American Society for Aesthetic Plastic Surgery (ASAPS) formed a Stem Cell Task Force to look into the safety and effectiveness of these Stem Cell Therapies. The idea of a Stem Cell is exciting: a cell that has the potential to change into any cell type you would want, placed where you want it. Sounds too good to be true, but science is marching towards exactly that. Currently, these types of results are reproducible under laboratory conditions, but are currently not as predictable in the patient. The original “Stem Cell” grafts were done for years, without doctors realizing that’s what they where doing. San Francisco Plastic Surgeons have been removing fat and transplanting it into patients’ wrinkles to reduce folds long before there was Restylane®, Juvederm®, Perlane®, Radiesse® or any other currently available prepackaged wrinkle filler. Fat grafting predates even the Bay Area’s own contribution to fewer wrinkles and larger lips, Collagen, and it turns out that fat grafts also contain stem cells. I remember attending a presentation at the California Society of Plastic Surgery in Napa in 1995, during which the discovery of numerous and varying stem cells in liposuction aspirate was being discussed. It was at that time, we plastic surgeons began to realize that fat transplants contain more than just fat cells. Whether the fat is surgically removed and replaced as fat grafts, or is removed with liposuction and injected, stem cells are present. The volume of fat that lives can be variable leading to unpredictable amounts of augmentation. The area grafted can become lumpy and irregular. Calcifications can develop making it difficult to properly screen for cancer on a mammogram. As the patients ages and gains weight, so too do the grafts. Part of the reason the face ages is that the fat on the face atrophies (goes away). Healthy babies have big fat round faces, and youthful faces maintain this padding. As we age, we lose the fat that adds volume to, and supports the skin. The result is a longer, narrower face, and skin that sags. Replacing this lost volume is one of the holy grails of plastic surgery. Facial implants, fillers, fat injections all have there place, and each can be helpful. Most stem cell facelifts are simply fat grafting to the face. While expensive machines are available to concentrate the stem cells in the graft, most practitioners do not use them, and there is simply no evidence that concentrating stem cells helps. This is one of the questions that the Stem Cell Task Form considered, and the answer still remains unclear. 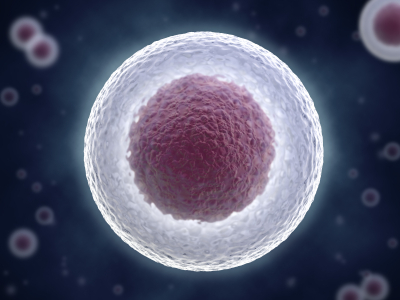 Terms such as “stem cell therapy” or “stem cell procedure” should be reserved to describe those treatments or techniques where the collection, concentration, manipulation, and therapeutic action of the stem cells is the primary goal, rather than a passive result, of the treatment. For example, standard fat grafting procedures that do transfer some stem cells naturally present within the tissue should be described as fat grafting procedures, not stem cell procedures. The marketing and promotion of stem cell procedures in aesthetic surgery is not adequately supported by clinical evidence at this time. While stem cell therapies have the potential to be beneficial for a variety of medical applications, a substantial body of clinical data to assess plastic surgery applications still needs to be collected. Until further evidence is available, stem cell therapies in aesthetic and reconstructive surgery should be conducted within clinical studies under Institutional Review Board approval, including compliance with all guidelines for human medical studies. The collection and reporting of data on outcomes and safety by any physician performing stem cell therapies is strongly encouraged in order to advance the knowledge and science of stem cells. Stem cell based procedures should be performed in compliance with FDA regulatory guidelines. If devices are employed that are subject to regulation by the FDA, surgeons should use these devices with appropriate approval in place, especially when used for investigational purposes. Patients are advised to seek consultation for aesthetic procedures by a surgeon certified by the American Board of Plastic Surgery. These physicians are able to properly evaluate a patient’s concerns and offer a wide range of safe solutions. Extreme caution should be exercised when a physician is promising results from any treatment that sound too good to be true. I continue to follow the debate, and as much as I want stem cells to be the next greatest thing, I also don’t want my hopes to cloud my judgement. Even among the tight knit aesthetic plastic surgery community, there is vigorous disagreement about the methods, safety and efficacy of fat grafting and the use of stem cells. At least a frame work for discussion has been defined, and the research is under way. For now, buyer beware is still the best advice I can give. We all know that when something sounds too good to be true, it is probably not true, but we want to believe. Just because something claims to be new, it does not mean it is new, and being new has nothing to do with being better. We all want the greatest improvement with the least down time and no scars; however, there is something to be said for the tried and true. The older the procedure is, the longer it has survived, the more it has stood the test of time as a safe and reliable option.